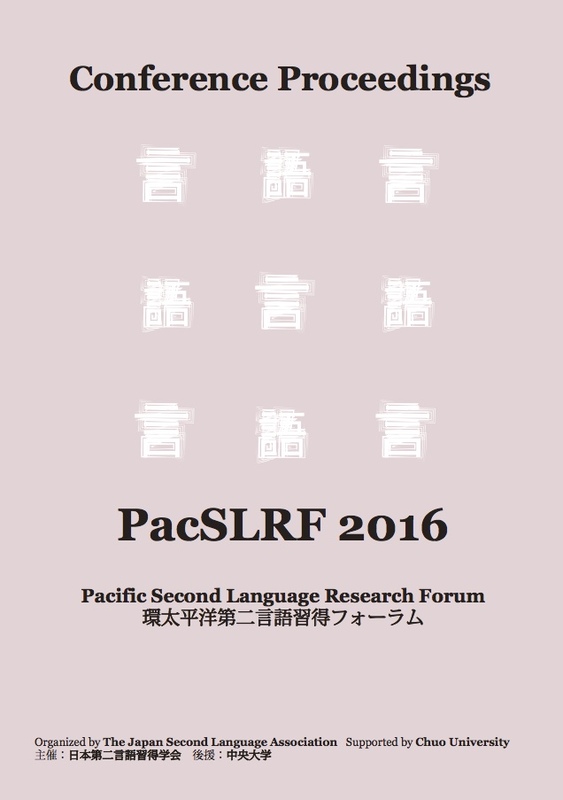 Conference Proceedings of PacSLRF 2016. Edited by Hirakawa, M., J. Matthews, K. Otaki, N. Snape and M. Umeda. Snape, N. (2017). 日本人英語学習者による冠詞の習得：概説 [The acquisition of articles by L2 learners of English: An overview]. In T. Shirahata and K. Suda (eds. ), 第二言語習得研究モノグラフシリーズ 1 名詞句と音声・音韻の習得, (pp. 1-26), Kuroshi Publishers. Snape, N. and S. Sekigami. (2016). Japanese L2 speakers’ acquisition of the English definiteness effect. In S. Fischer, T. Kupisch, E. Rinke (eds. ), Definiteness Effects: Bilingual, Typological and Diachronic Variation, (pp. 424-446), Cambridge, UK: Cambridge Scholars Press/CSP. Kupisch, T., N. Snape and I. Stangen. (2013). Foreign language acquisition in heritage speakers: The acquisition of articles in L3-English by German-Turkish bilinguals. In J. Duarte and I. Gogolin (eds. ), Linguistic Superdiversity in Urban Areas. Research Approaches, (pp. 99-122). Amsterdam: John Benjamins. Snape, N. and N. Yusa. (2013). Explicit article instruction in definiteness, specificity, genericity and perception. In M. Whong, K-h. Gil and H. Marsden (eds. ), Universal Grammar and the Second Language Classroom, (pp. 161-183). Dordrecht: Springer. Kupisch, T, M. Anderssen, U. Bohnacker and N. Snape. (2009). 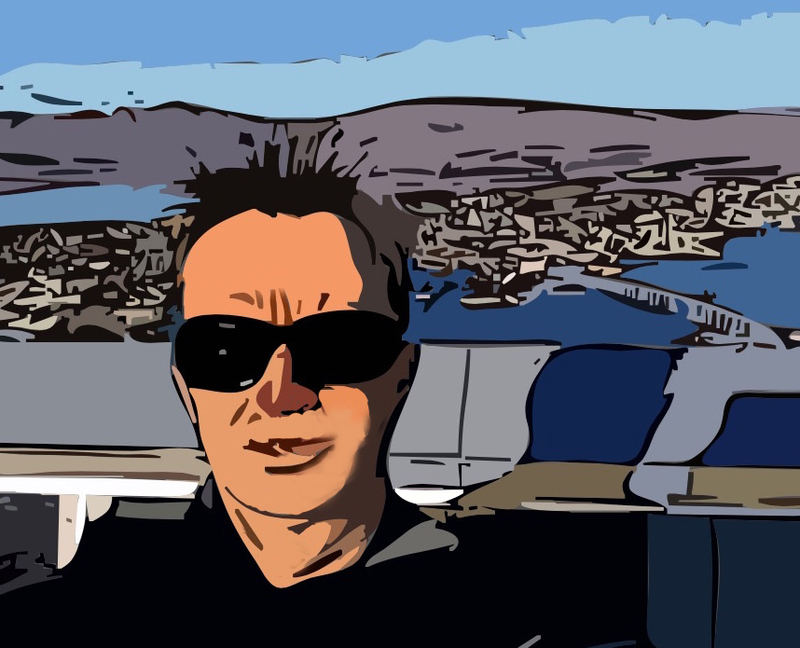 Article acquisition in English, German, Norwegian and Swedish. In Ronald W. Leow, Héctor Campos & Donna Lardiere (eds. ), Georgetown University Round Table on Languages and Linguistics (GURT) 2007 Proceedings, (pp. 223-235). Washington: Georgetown University Press. Snape, N. (2009). Exploring Mandarin Chinese speakers’ L2 article use. In N. Snape, Y.-k. I. Leung and M. Sharwood Smith (eds. ), Representational Deficits in SLA: Studies in Honor of Roger Hawkins, (pp. 27-51). Amsterdam: John Benjamins. Snape, N. (2006). L2 acquisition of definiteness and specificity in English by advanced Japanese and Spanish learners. In A. Belletti, E. Bennati, C. Chesi, E. Di Domenico and I. Ferrari (eds. ), Language Acquisition and Development. Proceedings of the Generative Approaches to Language Acquisition Conference 2005, (pp. 500-4). Cambridge, UK: Cambridge Scholars Press/CSP. Umeda, M., N. Snape, N. Yusa and J. Wiltshier (2019). The long-term effect of explicit instruction on learners’ knowledge on English articles. Language Teaching Research, Special Issue: Grammatical Meaning and the Second Language Classroom, 23(2), 179-199. Snape, N. and M. Umeda (2018). Addressing fluctuation in article choice by Japanese learners of L2 English through explicit instruction. Instructed Second Language Acquisition, Special Issue: Second Language Teaching and Generative Linguistics, 2(2), 164-188. Snape, N. and H. Hosoi. (2018). Acquisition of scalar implicatures: Evidence from adult Japanese L2 learners of English. Linguistic Approaches to Bilingualism, 8(2), 163-192. Snape, N. (2016). Judgments of articles in L2 English by a child returnee: A case study. In K. Horie, T. Suzuki and W. Suzuki, Studies in Language Sciences: Journal of the Japanese Society for Language Sciences, 15, 71-95, Kaitakusha, Tokyo, Japan. Xu, Q., Y. Shi and N. Snape (2016). A study on Chinese students’ acquisition of English articles and interlanguage syntactic impairment. Chinese Journal of Applied Linguistics, 39(4): 459-483. Snape, N., J. Matthews, M. Hirakawa, Y. Hirakawa and H. Hosoi. (2014). Aspect in L2 English: A longitudinal study of four Japanese child returnees. In L. Roberts, I. Vedder and J. H. Hulstijn (eds. ), EUROSLA Yearbook, 14: pp. 79-110. Amsterdam: John Benjamins. Snape, N. (2013). Japanese and Spanish adult learners of English: L2 acquisition of generic reference. In Y. Shirai and K. Horie, Studies in Language Sciences: Journal of the Japanese Society for Language Sciences, 12, 70-94, Kaitakusha, Tokyo, Japan. Snape, N., M. del P. García Mayo and A. Gürel. (2013). L1 transfer in article selection for generic reference by Spanish, Turkish and Japanese L2 learners. International Journal of English Studies, 13(1): 1-28. 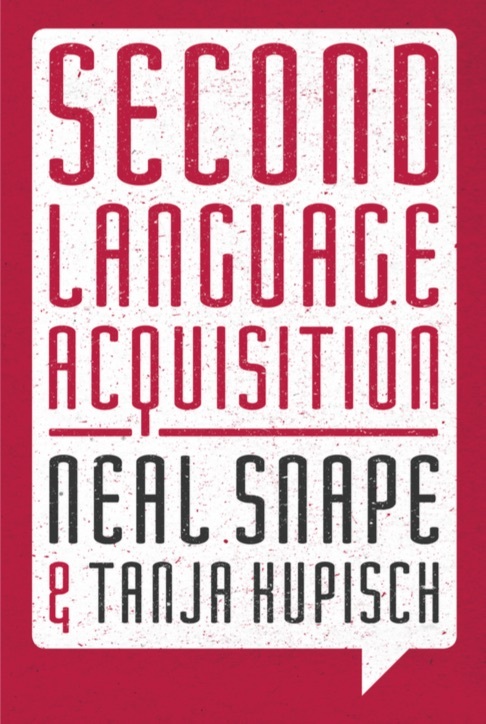 Snape, N. and T. Kupisch. (2010). Ultimate attainment of second language articles: A case-study of an endstate second language Turkish–English speaker. Second Language Research, 26(4): 527-48. Snape, N. (2008). Resetting the Nominal Mapping Parameter: definite article use and the count – mass distinction in L2 English. Bilingualism: Language and Cognition, 11(1): 63-79. Hawkins, R., S. Al-Eid, I. Almahboob, P. Athanasopoulos, R. Chaengchenkit, J. Hu, M. Rezai, C. Jaensch, Y. Jeon, A. Jiang, I. Leung, K. Matsunaga, M. Ortega, G. Sarko, N. Snape and K. Velasco-Zarate. (2006). Accounting for English article interpretation by L2 speakers. In S. H., Foster-Cohen, M. Medved Krajnovic and J. Mihaljević Djigunović (eds. ), EUROSLA Yearbook, 6: pp. 7-25. Amsterdam: John Benjamins. Snape, N. (2005). The certain uses of articles in L2-English by Japanese and Spanish speakers. Durham and Newcastle Working Papers in Linguistics. vol. 11, 155-68. Snape, N. (2005). The use of articles in L2 English by Japanese and Spanish learners. Essex Graduate Student Papers in Language and Linguistics. vol. 7, 1-23. Snape, N., M. Umeda, J. Wiltshier and N. Yusa (2016). Teaching the complexities of English article use and choice for generics to L2 learners. In Proceedings of the 13th Generative Approaches to Second Language Acquisition Conference (GASLA 2015), ed. D. Stringer, J. Garrett, B. Halloran, and S. Mossman, 208-222. Somerville, MA: Cascadilla Proceedings Project. Snape, N., M. Hirakawa, Y. Hirakawa, H. Hosoi and J. Matthews. (2014). L2 English generics: Japanese child returnees’ incomplete acquisition or attrition? In Selected Proceedings of the 2012 Second Language Research Forum: SLA in Many Contexts, ed. R. T. Miller, K. I. Martin, C. M. Eddington, A. Henery, N. M. Miguel, A. Tseng, A. Tuninetti and D. Walter. (pp. 155-169). Somerville, MA: Cascadilla Proceedings Project. Snape, N., M. Hirakawa, Y. Hirakawa, H. Hosoi and J. Matthews. (2013). The role of genericity in online grammar processing by Japanese adult L2 learners and Japanese child L2 learners of English In Proceedings of the 12th Generative Approaches to Second Language Acquisition Conference (GASLA 2013), ed. J. C. Amaro, T. Judy and D. P. Cabo, 193-202. Somerville, MA: Cascadilla Proceedings Project. Snape, N., M. del P. Garcia Mayo and A. Gurel. (2009). Spanish, Turkish, Japanese and Chinese L2 learners’ acquisition of generic reference. In Proceedings of the 10th Generative Approaches to Second Language Acquisition Conference (GASLA 2009), ed. M. Bowles, T. Ionin, S. Montrul and A. Tremblay, 1-8. Somerville, MA: Cascadilla Proceedings Project. Snape, N. (2007). Japanese Speakers’ Article omission in L2 English: Evidence against the Prosodic Transfer Hypothesis? In Proceedings of the 2nd Conference on Generative Approaches to Language Acquisition North America (GALANA), ed. A. Belikova, L. Meroni and M. Umeda, 394-405. Somerville, MA: Cascadilla Proceedings Project. Snape, N., Y-k I. Leung and H-C. Ting. (2006). Comparing Chinese, Japanese and Spanish Speakers in L2 English Article Acquisition: Evidence against the Fluctuation Hypothesis? In Proceedings of the 8th Generative Approaches to Second Language Acquisition Conference (GASLA 2006), ed. M. Grantham O’Brien, C. Shea, and J. Archibald, 132-39. Somerville, MA: Cascadilla Proceedings Project. Snape, N. (2006). Do L2 learners have problems (re)-setting parameters? Evidence from the nominal domain in English. CamLing 2006 Proceedings, (pp. 205-12). Snape, N. (2005). Article use in L2 English: Missing Surface Inflection Hypothesis (MSIH) or Representational Deficit Hypothesis (RDH)? CamLing 2005 Proceedings, (pp. 159-65). Snape, N. (2014). Online and offline judgments of articles in L2 English by Japanese adult L2 learners and child returnees. The 16th Annual Conference of the Japanese Society of Language Sciences (JSLS) conference handbook. Snape, N. (2012). 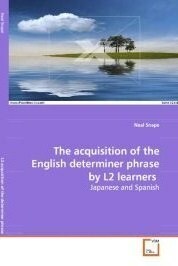 Japanese and Spanish adult learners of English: L2 acquisition of generic reference. The 14th Annual Conference of the Japanese Society of Language Sciences (JSLS) conference handbook, 89-92. Snape, N, (2010). Accounting for patterns of article choice by EFL learners. Gunma Prefectural Women’s University Bulletin, 31. Snape, N. (2003). Pronoun case assignment by children with Specific Language Impairment. Studies in Japanese Language Teaching. vol.10, 49-64. (2019). The acquisition of tense and aspect agreement in L2 English, UNACAR, Ciudad del Carmen, Mexico. (2019). Praat workshop. UNACAR, Ciudad del Carmen, Mexico. (2019). Tense/aspect-agreement violations in Japanese L2 English, University of York, UK. (2018). An intervention study in generic article choice by Japanese L2 learners. Hiroshima University, Japan. (2018). Article choice by Japanese L2 learners: An intervention study. University of Greenwich, UK. (2018). Praat workshop. University of Swansea, UK. (2018). Teaching English article choice to L2 learners. University of Swansea, UK. (2017). Heritage language reversal: The production of voice onset time (VOT) and perception of dental fricatives by a Japanese returnee. University of Essex, UK. (2017). Heritage language reversal: The production of articles and voice onset time (VOT) by Japanese returnees. University of Southampton, UK. (2017). Heritage language reversal: The production of voice onset time (VOT) by Japanese returnees. University of Reading, UK. (2016). with Takeda, K, Umeda, M., Hirakawa, M., Fukuda, M., Hirakawa, Y. and Matthews, J. An experimental investigation of a three-way classification of the Japanese reflexive zibun: A preliminary study. University of Hawai'i Manoa. (2014). JSLS Invited symposium: Limited input in language acquisition: What role does limited input play in the language skills among returnees and language learners? (2013). Article use by Japanese L2 learners: Types of problems and possible explanations. Bunkyo University, Japan. (2012). A longtidutinal study of 4 Japanese returnees: Tense and aspect. Workshop at J-SLA summer seminar, Hachioji, Japan. (2012). A longitudinal study of 4 returnees: Genericity. Centre Linguistic Diversity Management in Urban Areas (LiMA), University of Hamburg, Germany. (2012). The interpretation of DPs for generic reference in L2 acquisition by Japanese and Spanish speakers. Centre of Language and Literature (SOL), Lund University, Sweden. (2012). with Hirakawa, M. 日本人英語使用者の時制習得の問題点 (L1 Japanese L2 English learners acquisition of tense). Workshop at Miyagi Gakuin Women's University, Sendai, Japan. (2011). Second language acquisition: L2 learners’ interlanguage grammars. Workshop at J-SLA summer seminar, Kyoto, Japan. (2010). 日本人英語学習者の冠詞習得の問題点 (Problems with the acquisition of articles by Japanese learners of English). Workshop at Miyagi Gakuin Women's University, Sendai, Japan. (2009). The role of the L1 in L2 article acquisition: What transfers? Brown Bag talk at Stony Brook University, NY, U.S.A.
(2008). L2 articles: Acquisition of definiteness, specificity and generics. Faculty of Foreign Languages, Ningbo University, China. (2008). Can Japanese, Spanish and Turkish speakers acquire English articles used for generic reference? Hokkaido University, Sapporo, Japan. (2008). The acquisition of DP by L2 learners: Types of problems and possible explanations. J-SLA Autumn Seminar, Daito Bunka Meeting Center, Tokyo, Japan. (2007). The Article Choice Parameter and the Fluctuation Hypothesis: The role of L1 transfer. Dept. of Linguistics Colloquium, University of Calgary, Canada.